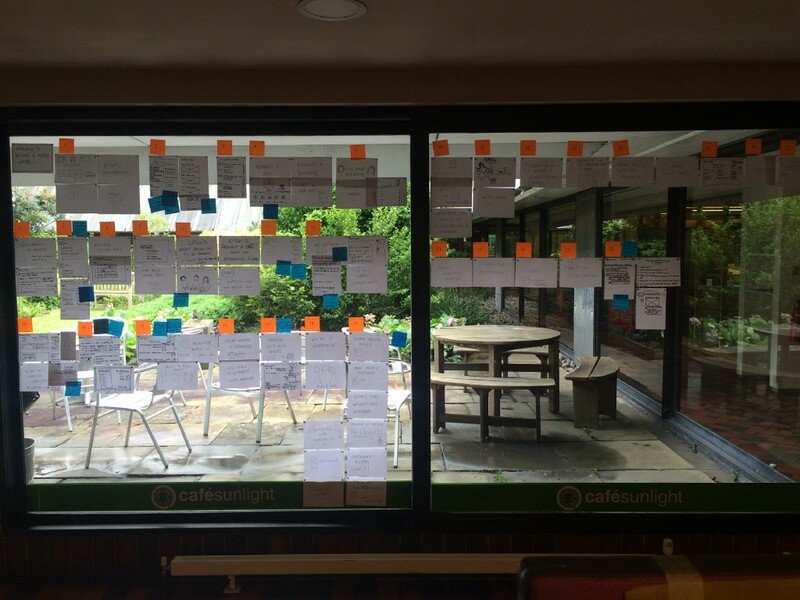 How to: use your walls to share your work inside your organisation and to the wider world. Some tips I’ve learned from putting work up for others to see. Ideas you can borrow and make use of in your own projects and organisations. 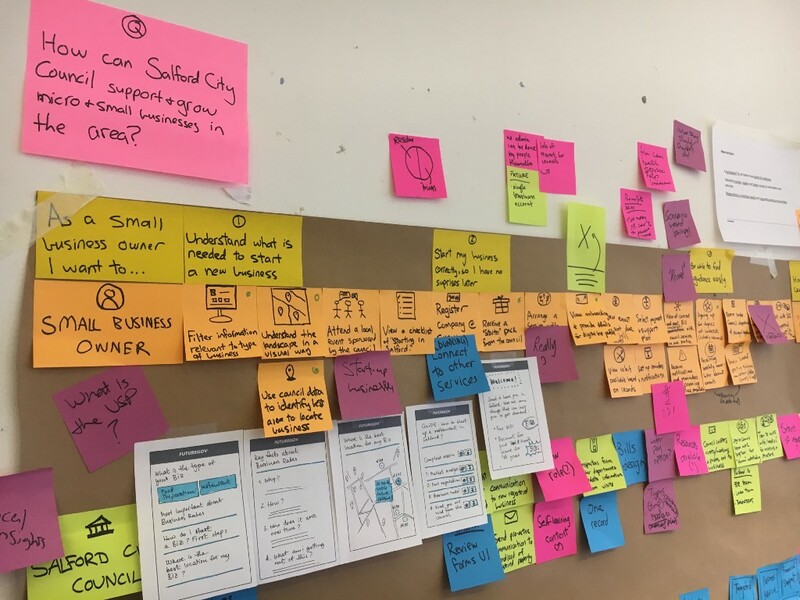 Earlier this month, Service Design in Government conference was held in Edinburgh. It’s rare to bump into another service designer in this town, so having the cream of the crop come to visit and share their work was a total treat. Big thanks to the organisers for a smashing set of talks, and the space to talk between them. Sophie Dennis asked us all to reflect on what we’d learned, and what we’d take away. I wanted to take away the sense of being open with your work, of having the community to share it with (and so later feedback and get better) while the work is ongoing. 3-day conferences are great places to see and hear from other practitioners, but work is often wrapped up and reflected on before it’s shared. I’d like to share more work mid-project, and I’d love to see others using the design community for that. So I thought about the ways to share your work. To make it approachable and understandable to others. We’re often working on complex issues, that are tied into other issues. How to make it clear what you’re focusing on, what the ask is and where you’re headed? 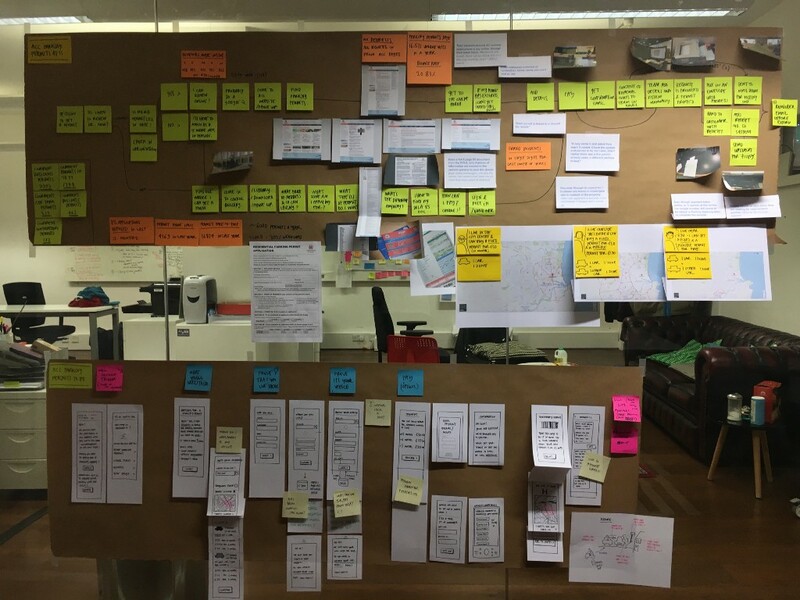 Walls of work catch people’s eyes, and are an open invitation to come over and learn more. They can be spaces to share the current update of your project, or ask questions and gather responses. 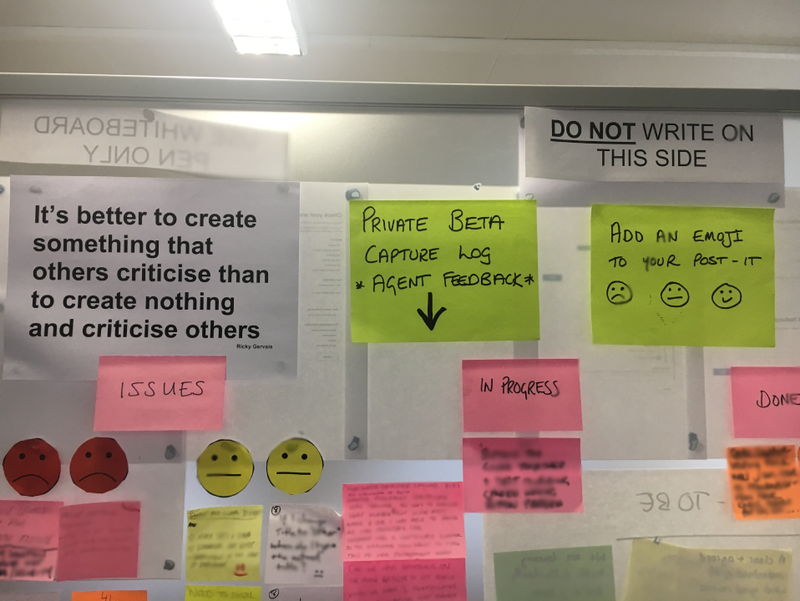 Placed in a corridor, near a staff kitchen or on the way to the cafeteria or toilets they are going to be noticed and engaged with. Some people will want you to talk them through the work, and for that to work well having a flow and structure to your story often helps. Other people will want to work through it themselves, or when you’re not there. In that case, having clear labels and questions is doubly-handy. For example : using colour, shape and numbers to help others flow through the work, and add their feedback. So here’s some lessons I’ve learned. 1. Use the same labels for each of your sections. Whether it’s a single colour of card or post-it note, with the same size writing, or a print out (like the ones Paul Smith put together as templates in this Google slide deck, alongside this helpful blog post of how to use them.) In fact, many of Paul’s template labels could be useful to you. Use them! 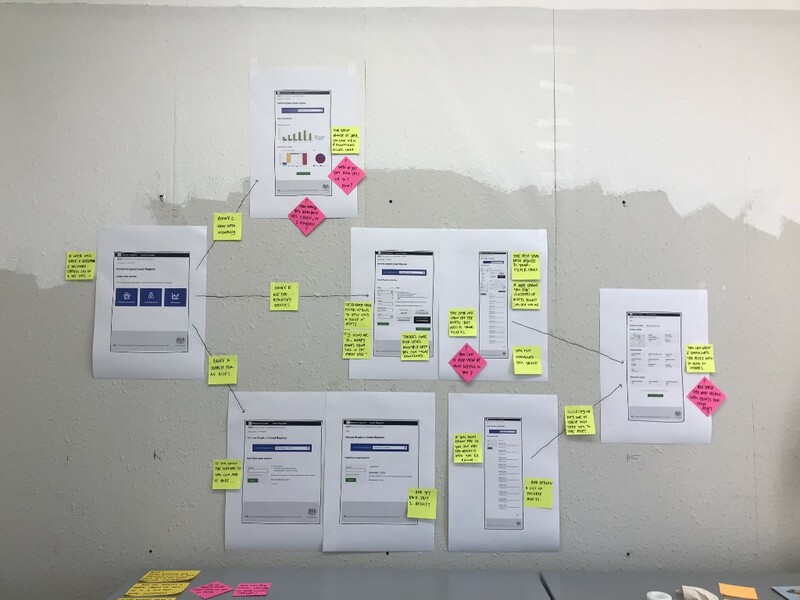 Having a constant visual clue will help people new to your work a. scan how many sections there are, b. see the work flow and progress across the wall. 2. Make those labels easy to understand. Use language that’s clear, and explain what you are/were trying to do at each stage of the work. 3. 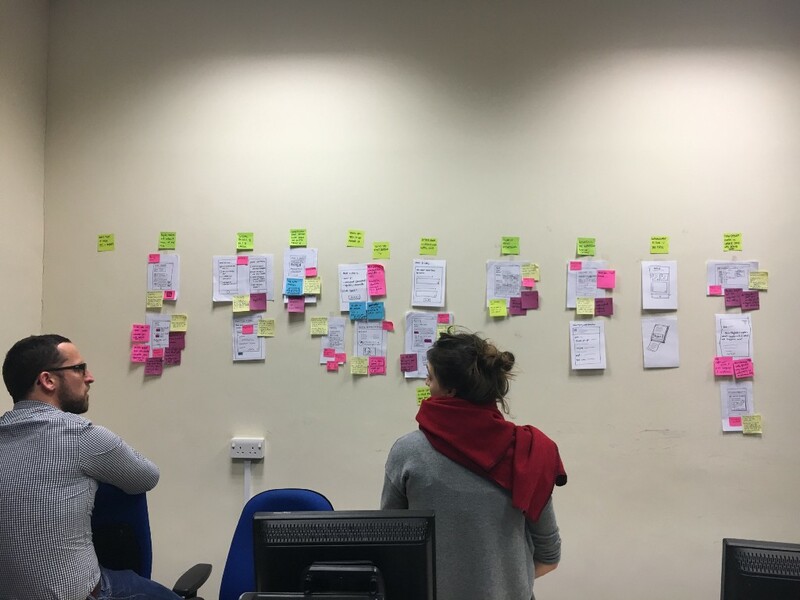 Lay out your work chronologically, and put the ‘best bits’ on the wall. I work (mostly) in the UK, so my walls flow left to right. 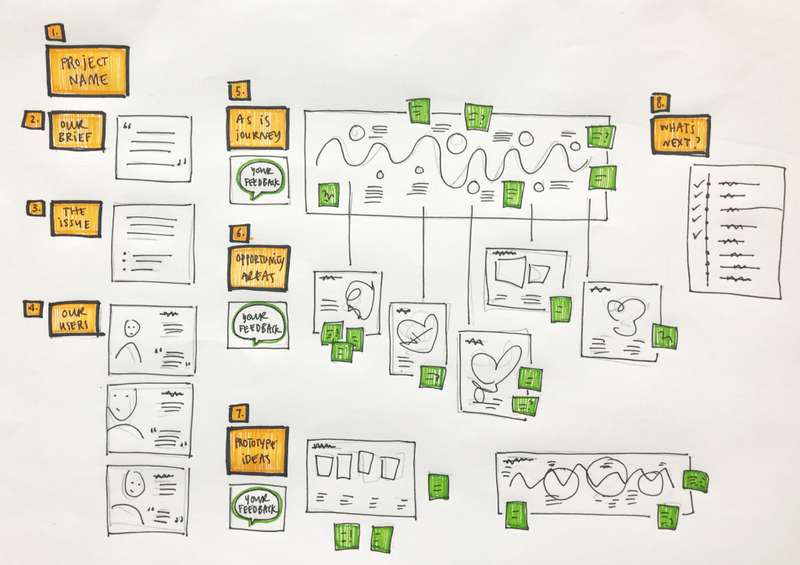 I select the parts of the project that help to string the process together, so a newcomer can see the highlights and get up to speed, without having to invest themselves in the detail. 4. Tell them what problem you are working on. In a sentence, where possible. You should know this sentence! 5. Tell them what you’d like to see as outcomes. 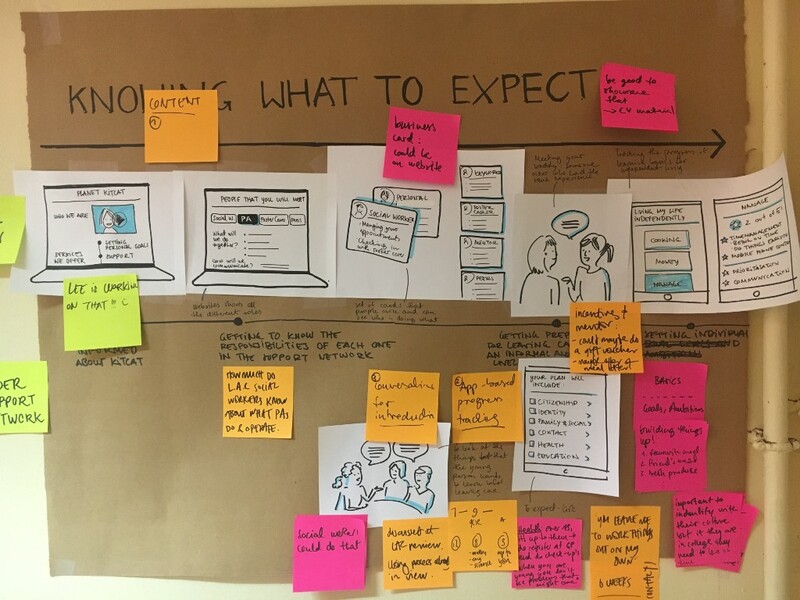 If it’s a bit of internet, a prototype or tool, some training, a change in language in an organisation, a better way to exchange and use data … let people know the general area that this work might head in. 6. Tell them how you’ll be working. 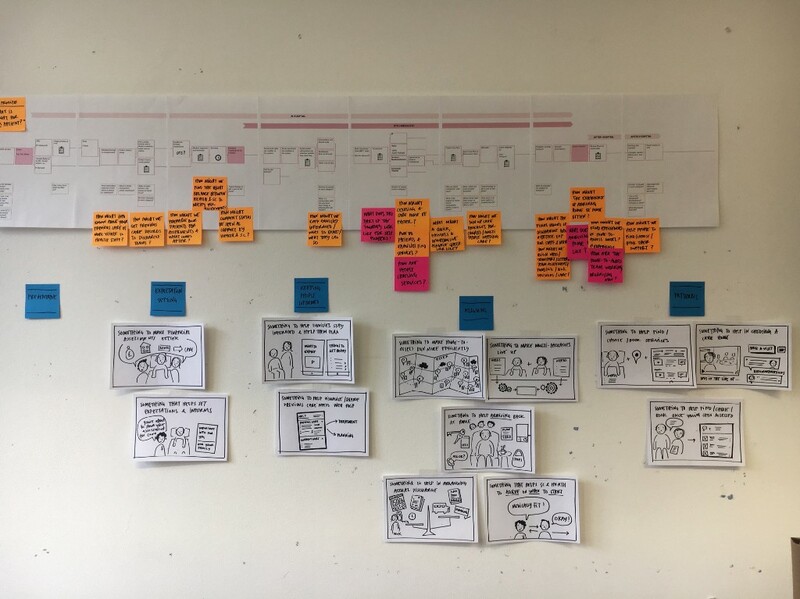 Whether it’s important quotes from research, photos you’ve gathered of people’s homes, journey maps that help to point out the bits that are difficult and the places people want to thrive. Put these on your wall and label them. People want to know what a section of work is, and more importantly, why you did it, what did you learn from it. If there’s a bit of the work that you’d like input in, ask for it. Make your questions clear, tell people why you are asking and make it easy for them to respond to you. These are the walls I aim to create for my projects. I like making it part of my role to share the work with wider teams and interested parties, it challenges me to be succinct and approachable. Framing the question for a project in Salford, to introduce a to-be map. 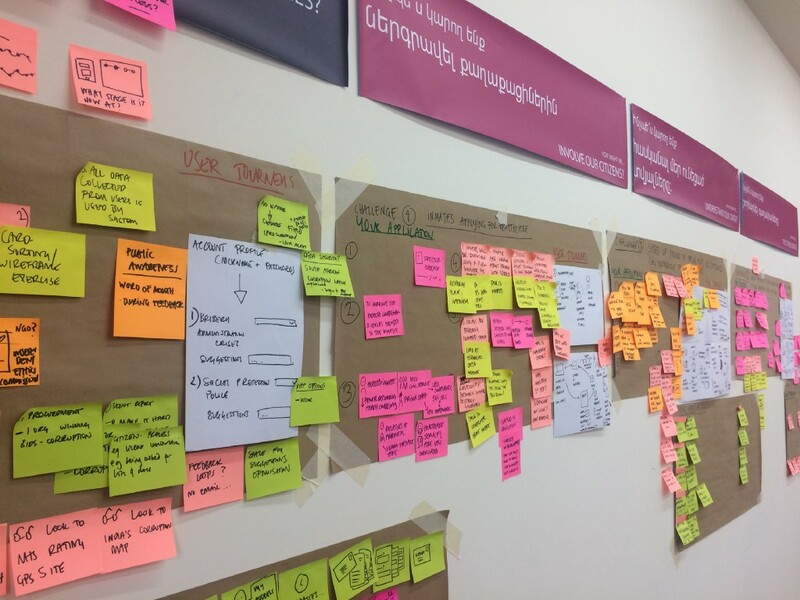 Framing different challenges faced by users of the Ministry of justice in Armenia. Laying out research findings and prototype ideas for Aberdeen. Separating and discussing opportunity areas in Grimsby. Capturing (and showing off!) group ideas in Medway. Showing the as-is process of leaving hospital in Essex, and some early opportunity areas. 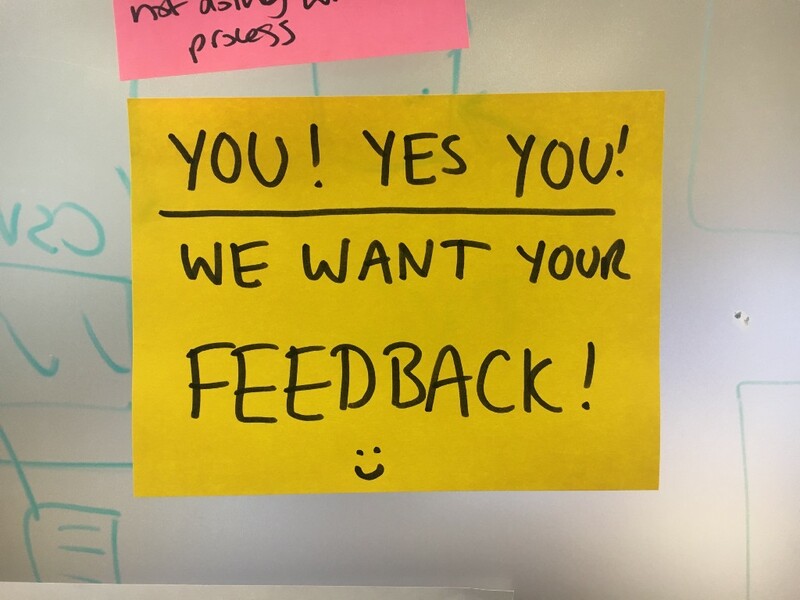 Asking for feedback on opportunity areas in Medway. How have you used wall space to share your work? 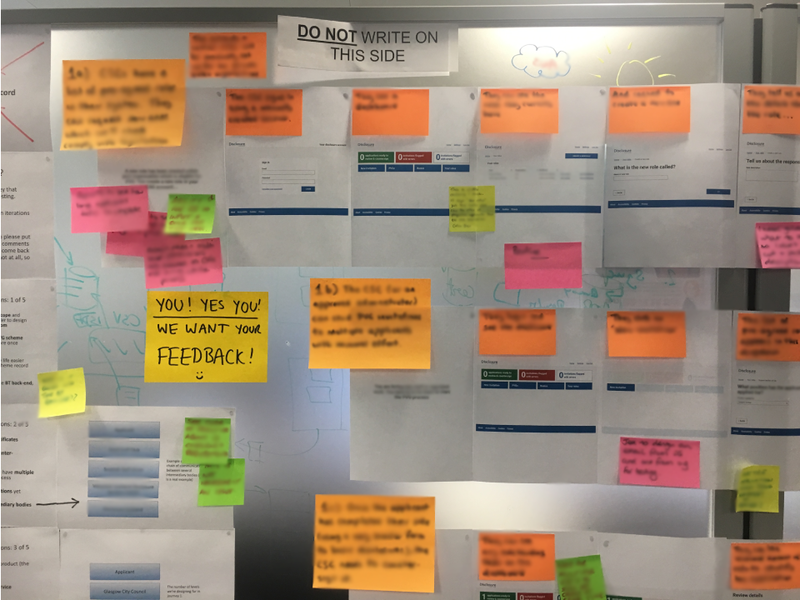 Big thanks to Ben Holliday and his ‘building blocks’ that every design team should tick off and be able to answer in their project. 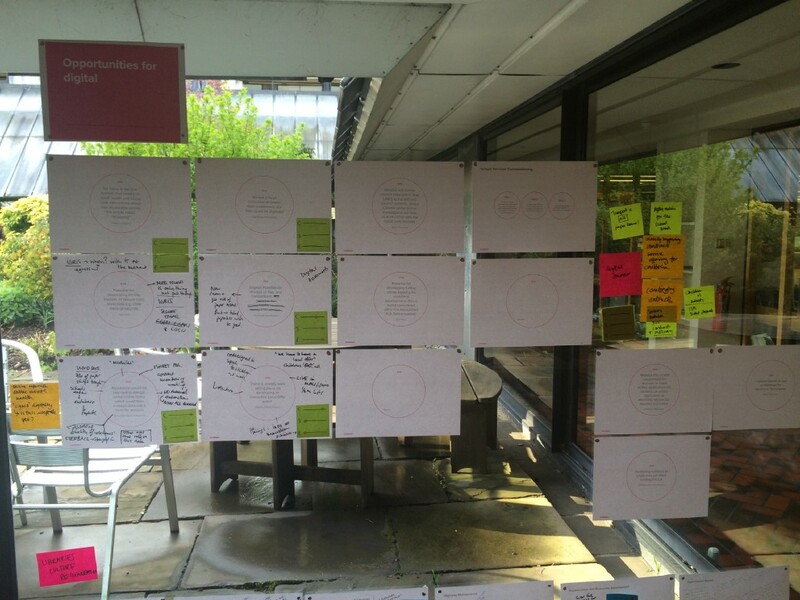 How to : use your walls to share your work inside your organisation and to the wider world. was originally published in FutureGov on Medium, where people are continuing the conversation by highlighting and responding to this story.